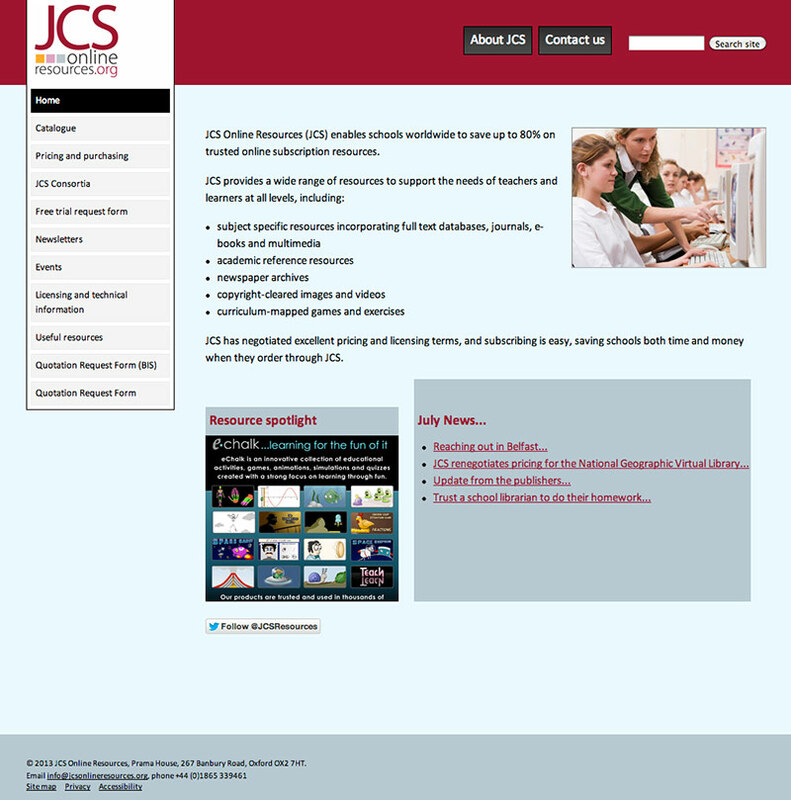 JCS Online Resources is a provider of online resource subscriptions for schools worldwide. I have worked with them for several years, designing and building their website and implementing numerous changes in both functionality and design over time. The website was built in Drupal to allow for the creation of bespoke content management functionality, in order for the website to be maintained largely without the need for technical input.